Output power (RMS): 1 x 1.5"
Design and performance combined make this handy Bluetooth speaker. Powered by a rechargeable battery and compact in size, this is an audio system you can take along with you. Its Bluetooth and audio-in connectivity are easy to access so you can enjoy a seamless music-listening experience anytime, anywhere. 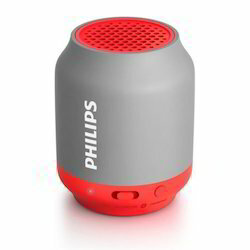 We are engaged in offering Philips Portable Speaker. 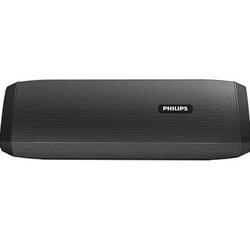 From our wide consignment, we are affianced in supplying Philips Portable Speaker.